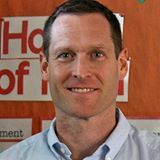 My name is Steve Reifman, and I am a National Board Certified elementary school teacher, author, and speaker in Santa Monica, CA. SteveReifman.com is a resource for elementary school teachers and parents. My mission is to teach the whole child—empowering students to succeed academically, build strong character, learn valuable work habits and social skills, and take charge of their health and wellness. Discover over 100 posts ﬁlled with teaching tips, links to YouTube videos, and other useful ideas and strategies for teaching the whole child. Explore these print books, e-books, courses, and other resources that offer effective, proven ideas and strategies that improve student learning. Each book in this award-winning mystery series for kids 8-12 features a single-day, real-time thriller that takes place on an elementary school campus. Looking for a presenter for your next conference or workshop? Check out these engaging, innovative sessions that address a wide variety of topics. This brief YouTube video is the first in my series of writing lessons that teachers and parents can use with middle and upper grade children (ages 8-12). Each video features an important writing skill or concept. In my experience as an elementary educator, I have found that many young writers create fiction stories that contain mostly action or mostly dialogue. This video presents an engaging, user-friendly activity that focuses on helping kids include a balance of “ingredients” in their stories: character description, setting description, action, dialogue, and internal thinking. JOIN STEVE for the next edition of #TeachTheWholeChild Chat. Date to be announced in the near future. Click here for more details. For the latest news & updates on Teaching the Whole Child, subscribe now. When you subscribe, you will receive a welcome message with a link to a FREE teaching resource. Enjoy.